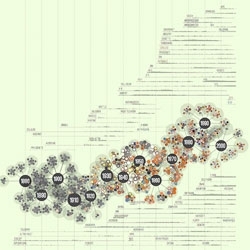 A visualization of 138 years of Popular Science by Jer Thorp. 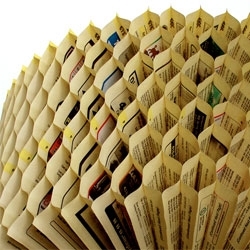 Hive, an installation of honeycombs made from phone books by Kristiina Lahde. 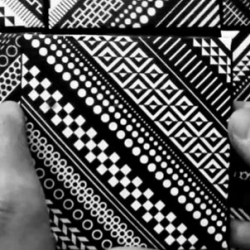 VIDEOCore Deco by graphic artist Matt W. Moore. 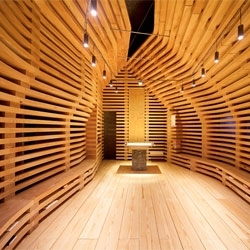 Tree of Life chapel (Capela Árvore da Vida- Seminário Conciliar de Braga) in Braga, Portugal. Designed by architects António Jorge Cerejeira Fontes and André Cerejeira Fontes, with sculptural work by sculptor Asbjörn Andresen. 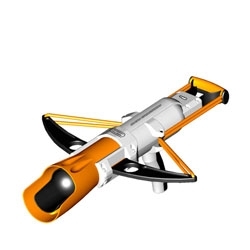 Get ready for winter with the Crossbow Snow Launcher, which can propel snowballs up to 60 feet! 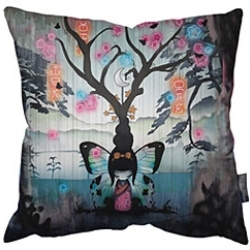 Beautiful new Limited Edition Pillows from UK artist Tom Lewis. 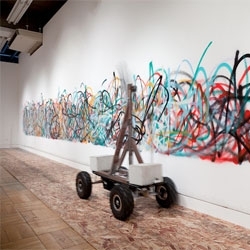 VIDEOSenseless drawing bot by So Kanno and Takahiro Yamaguchi. 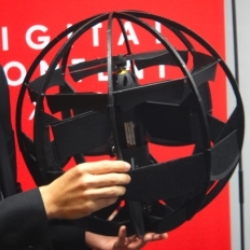 VIDEOSpherical Flying Machine Developed by the Japan Ministry Of Defense. 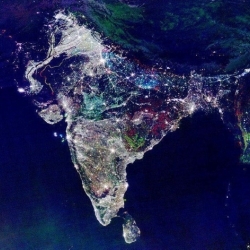 Satellite photo of India after dark, showing changes in illumination over 10 years. Areas marked white are lights present throughout the entire period. Maison Martin Margiela just opened its biggest store in Beijing. 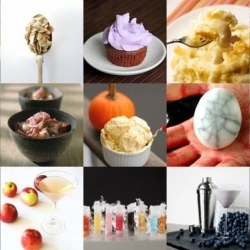 FEATUREDSpiderweb Devilish Ghoul Eggs, Spinach pancakes and dry ice cocktails are all a part of this week’s roundup from Tasteologie and Liqurious. 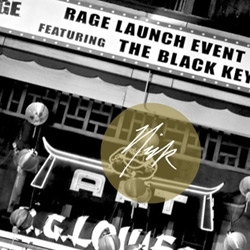 The Combined ~ beautiful new site filled with original content from Nick Joseph and Marcus Troy! Content Creators. 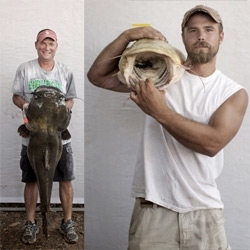 Cultural Curators. 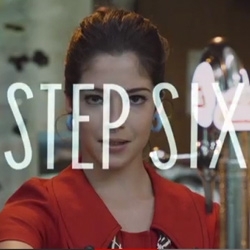 FEATUREDStella Artois has the lovely Audrey show you how to make the perfect pour in this bizarre surreal fake 60's era video. 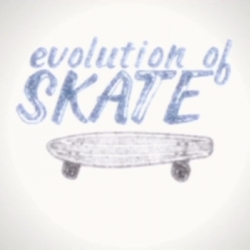 VIDEOA creative retrospect of skateboarding covering the evolution of skate tricks, style, filming and music. 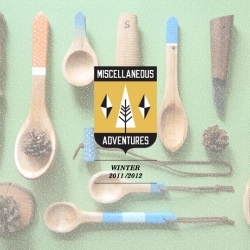 Miscellaneous Adventures hand-crafted outdoor accessories. 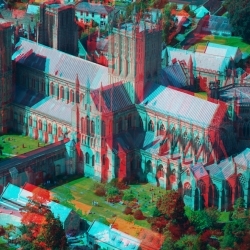 Jason Hawkes captures Europe in a different light as he mastered the art of taking unique photos in 3D. 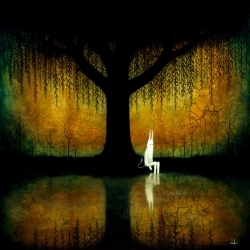 Pete Fowler aka The Monsterist is releasing a series of original landscape paintings. 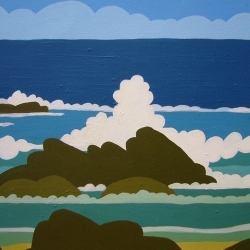 Entitled ‘Getting to Kernow You' they were inspired by the Cornish coastline. 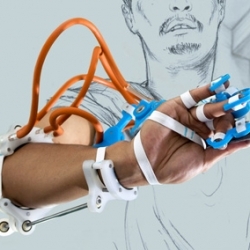 Design Faction, part of Lodz Design Festival, presents twelve stories that explore the space between design and science. 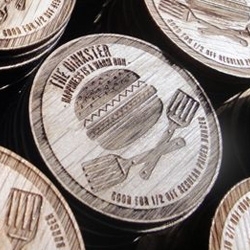 FEATUREDBeautiful curved woodwork and laser etched wooden nickels.. all made by Knowhow Shop LA for Los Angeles's slow fast food mecca The Oinkster. 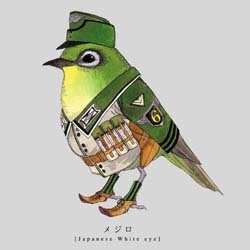 'Torigun' by Japanese artist Sato are delightful illustrations of songbirds wearing fanciful military uniforms. 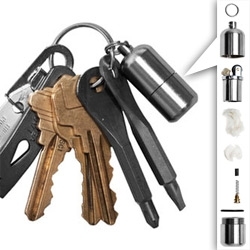 FEATUREDA tiny lighter, screwdrivers, crowbar, tweezers and more that fit right on your keys ~ Kauffman Mercantile EDC Kit. 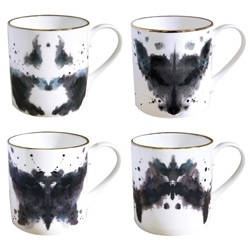 Always an adventure ~ tea cup set! 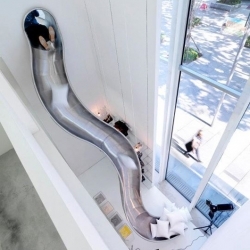 Awesome concept: No more programming, no more constantly changing the temperature. 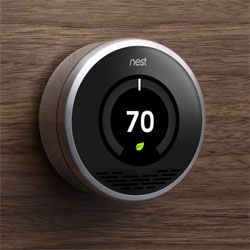 The NestTM Learning ThermostatTM programs itself in a week to keep you comfortable and save energy. Titlescream.com. 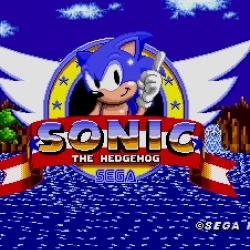 With it’s simple navigation you can travel back in time and discover the title graphics of 16/8 bit games. 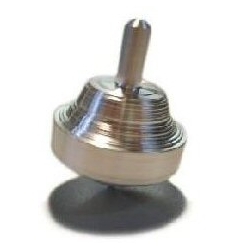 Ratis leTrottole and aluminum tops: made by hand with leftovers from scrap processing, for hours of fun. Thirty students from the architecture schools of Trondheim, Oslo and Bergen joined forces to design and construct this amazing RAKE showroom from re-used doors and windows. 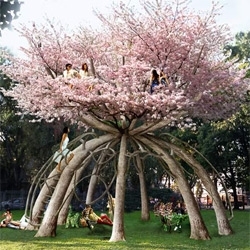 Artist SIT has been part of the Amsterdam creative scene for many years. 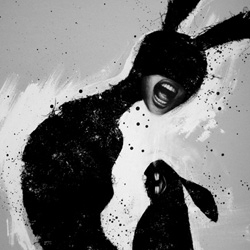 With ‘Noir’ Sit returns to his bold black & whites, examining the troubled relation between the animal kingdom and mankind even closer. 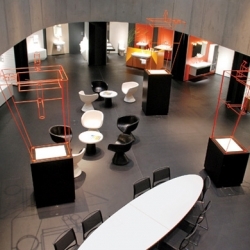 Interior Design magazine tours the 21,000 square-foot concrete exhibition and visitor center adjacent to the headquarters of Swiss manufacturer Laufen, in Laufen, Switzerland. 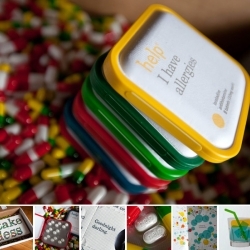 Lovely packaging for Empyreal 75, a pet food protein supplement for dogs and cats by Bailey Lauerman. 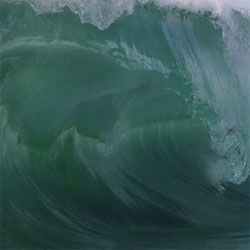 VIDEOBeautiful video of waves by Chris Bryan shot on the Phantom HD Gold. 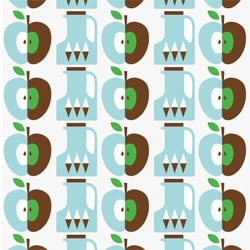 Lovely illustration and product designs from Sandra Isaksson (whose work you might recognize from SkipHop!). Et Lettera is a current european project about 'the shape of the letter as an art form in itself': exhibitions, workshops, and also an online library of typo/calligraphic antique books scans, even a typo-game! David Iglesias's new look for Burger King. VIDEOMaking the Nokia N9 smartphone. 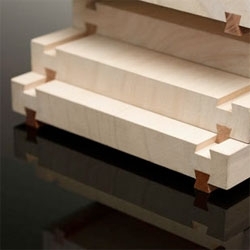 Beautiful Hirsaki Knife Box by Keiji Ashizawa Design. 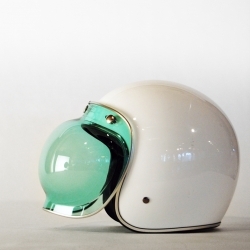 The beautiful Bell Jet Bubble Visor might be the perfect addition to your bike helmet! 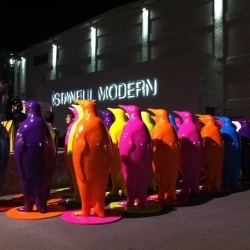 VIDEOJotun Paints, one of the leading manufacturer of paints globally, launched the new color trends with a igloo party with penguins for the architects and designers in Istanbul Modern Museum. What does your money face look like? 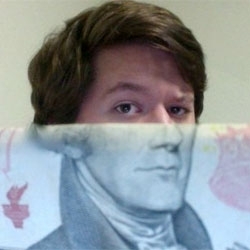 Reddit user MadSon11 posted his head matched with Alexander Hamiltons jaw and inspired money portraits around the world. 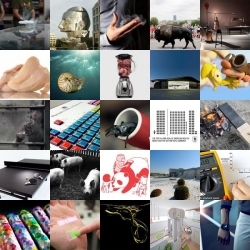 FEATUREDThis week’s roundup from NOTCOT.org includes a Periodic Table of Swearing, quantum levitation and an insect-powered smartphone. 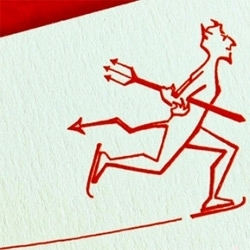 LYO Food - New product line of ECO freeze-dried food for alpinists, mountaineers, sailors and all outdoor enthusiasts. 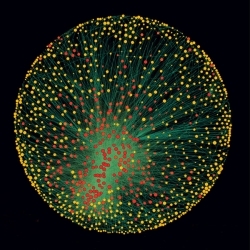 This study shows how a super-entity of 147 companies (less than 1% of all the companies included in this study) control over 40% of the global economy. This time the facts are with the 'conspiracy theorists'. Chow makes a fake ad for their Trixie Stix Recipes. 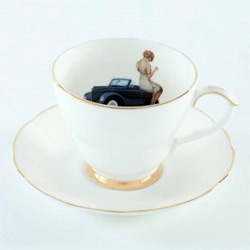 La Maison Champs Elysées in Paris is full of surrealism, trompe l'oeil and unique designer touches. 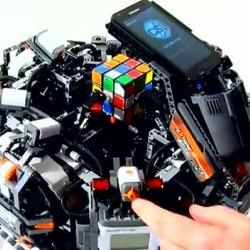 VIDEOCubeStormer II solves the Rubik's Cube puzzle faster than the human world record. 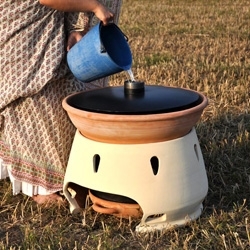 Eliodomestico is a solar still for developing countries, designed by Gabriele Diamanti. 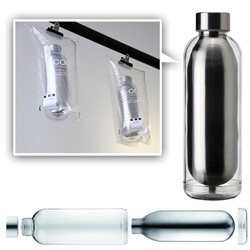 It can turn salt water into freshwater, using sunlight. 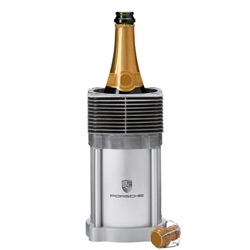 Finalist at the Prix Émile Hermès 2011. 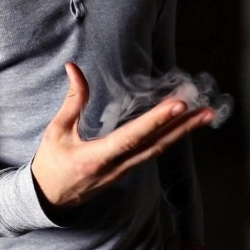 VIDEOPure Smoke allows you to make thick, vaporous, ethereal streams of smoke emerge from your bare hands. 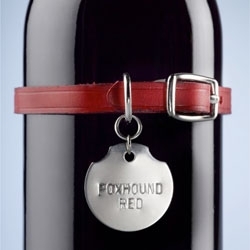 Used by magicians, bartenders and stage performers around the world. 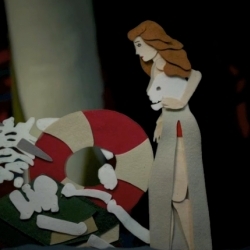 Spike Jonze has teamed up with designer Olympia Le-Tan to create an impressive new stop-motion video that uses 3,000 pieces of felt, all cut by hand. A great chat with Bompas and Parr, the English duo who make amazing creations out of jelly. 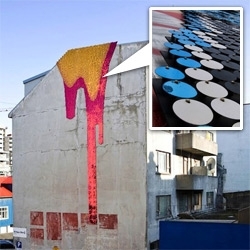 Using Sequins, plastic, and plywood New York-based artist, Theresa Himmer creates shiny, pixilated installations dripping from the top of buildings. 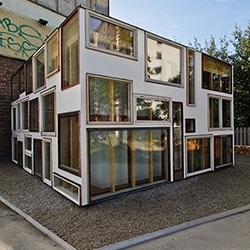 Dombon-a-tanya and TheBétaVersion pull together an unconventional project for the 2011 Design Week in Budapest. 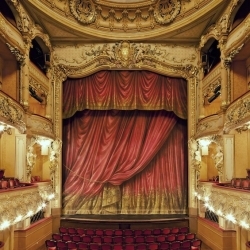 'Inside the Parisian Theaters' photographs by Franck Bohbot. 2,000 Suspended Dandelions by Regine Ramseier. 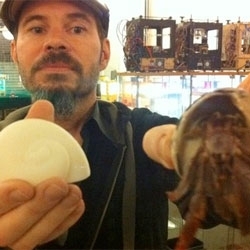 MakerBot artist-in-resident Miles Lightwood makes 3D printed shells for homeless hermit crabs. 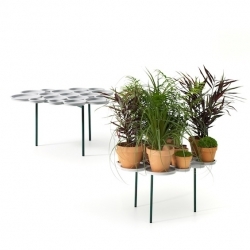 'Green Pads' by Luca Nichetto is a shelf for storing plants and flower pots. 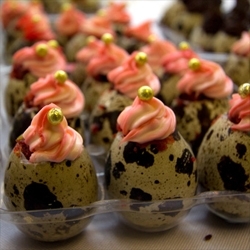 FEATUREDQuail egg cakes, dodo cakes and medicinal marshmallows were all part of this year's Experimental Food Society Spectacular! 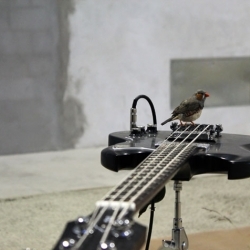 The Rock ‘n’ Roll birds of Céleste Boursier-Mougenot. 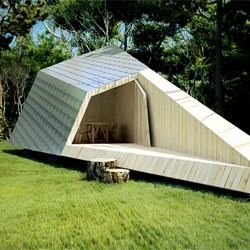 Artist Retreat in Fiskars, Finland by 0 to 1. 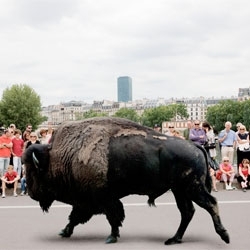 Renaud Marion's attraction series captures wild animals and their attraction to the public. 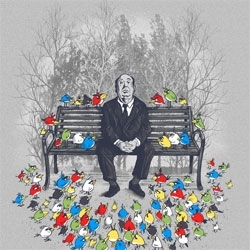 Hitchcock meets Angry Birds in 'Them Birds' by illustrators Dan Eijah Fajardo (aka Dandingeroz) and Pedro Kramer (aka Badbasilisk). 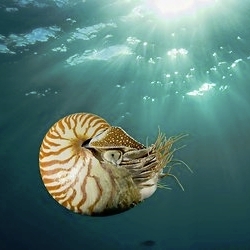 The NYtimes explores how our love of the chambered nautilis may threaten their existence. 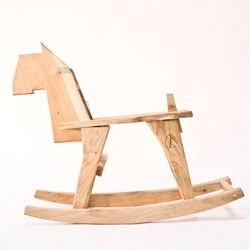 Fun children's furniture by Bo Reudler at Dutch Design Week. 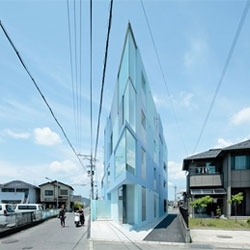 On the Corner, a beautiful apartment complex by EASTERN design office in Shiga, Japan. 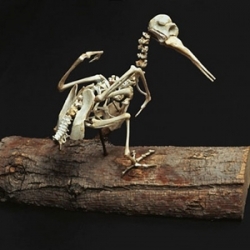 These bone sculptures by Christy Rupp appear to be archeological artifacts, but the bird skeletons are in fact fabricated entirely from fast food chicken bones! 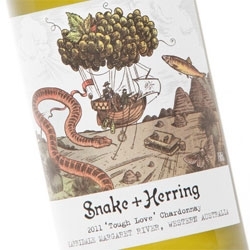 Snake + Herring wines, with packaging by brainCELLS. 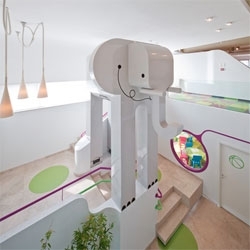 Phill, a restaurant in Bucharest designed by Nuca Studio, has a play area for children including a four meter-high model elephant. 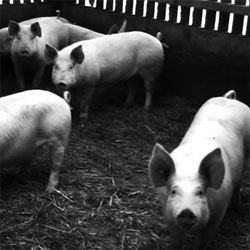 VIDEOONE PIG, by Matthew Herbert, an album of music made exclusively from sounds recorded during the life cycle of a single farm animal, from birth to plate. 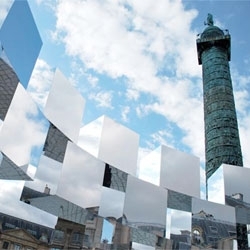 Mirror cube art installation on Paris' Place Vendome by Arnaud Lapierre for for the 2011 FIAC Art Fair. 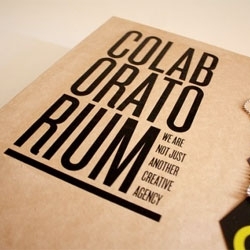 Colaboratorium, a collective of ten graduating design and marketing students. 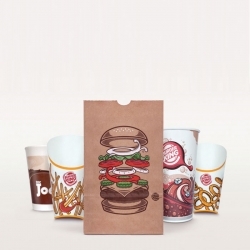 Lovely packaging design by Andrea Avidad. 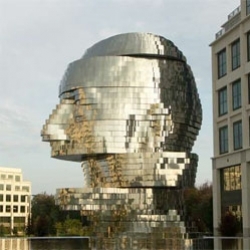 Metalmorphosis, a 14-ton moving, mirrored fountain/sculpture in Charlotte, North Carolina by David Černý. 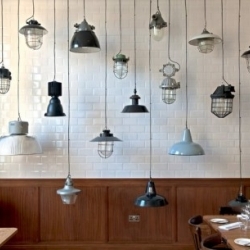 Michelin-starred chef Nuno Mendes opened his second eatery The Corner Room at the Town Hall Hotel, London. 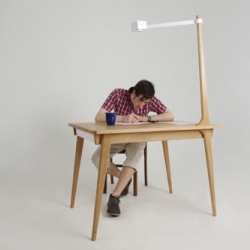 David Franklin's Delen Memory Table has an attached camera that takes photos at predetermined times so you can create stop-motion of whatever it is you're doing. 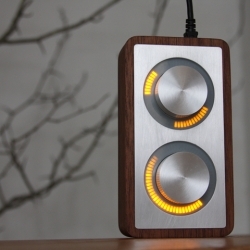 Monome Arc, ultra-high resolution optical rotary encoders, with push buttons. 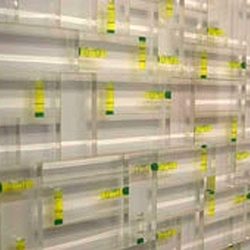 high-density variable-brightness led rings, in two and four knob versions. Australian artist Paul Caporn creates tableaux using ordinary construction tool levels. 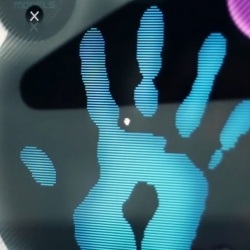 VIDEOProcess video from start to finish for Juxt Interactive's work on the Toyota Touch Wall. 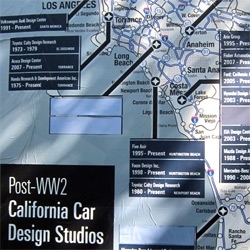 Imagine not having to worry about getting a new calendar until 2030! 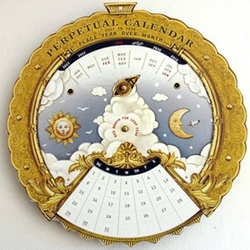 Mechanical paper perpetual calendar by Crankbunny. 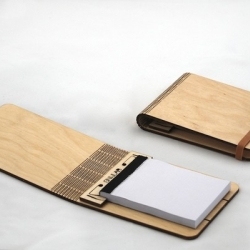 Snijlab's wood flexes and folds thanks to an intricate pattern of laser-cut grooves. 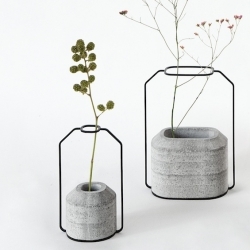 'Weight' vases in polished concrete and metal by Thinkk Studio for Specimen Editions. 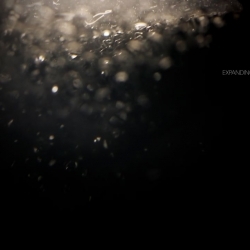 VIDEO'Reverse: a space odyssey 2011' by Helmut Kool, a film created with analog techniques and all object movements are based on physical forces within their real environment. 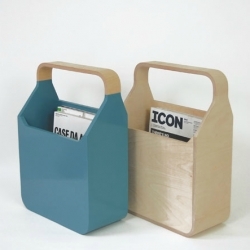 Magi by Pottinger & Cole is a practical solution for the storage of magazines. 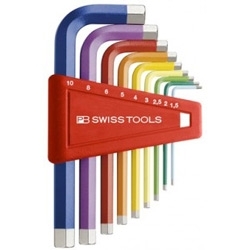 Integrated handle and compact proportions allow it to be placed against any wall, chair or sofa. 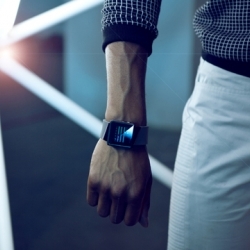 The Zizm’s unique faceted crystal lens produces a refracted view of time on the ZenH display. This faceted surface creates a pattern that continues throughout the entire design of the timepiece, including Nooka’s first silicone strap. 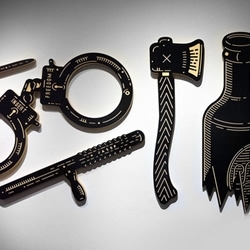 The weapons used for criminal acts in South Africa are represented in 'FearLess'. Huge wooden artworks, a reflection on how fear conditions the daily life of thousands of people. 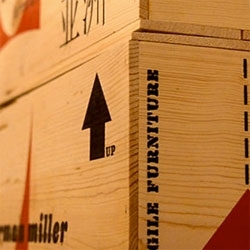 VIDEOA look at the House Industries Eames LTR Exhibition at Herman Miller Japan. 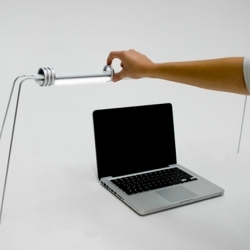 Rima is a nice hightech lamp by german brand Dreipuls. 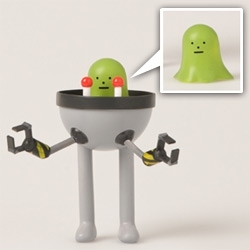 With 4 rings you can easily pick the parts you want to illuminate. 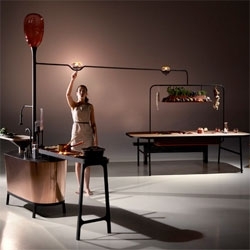 The Microbial Home by Philips as part of Dutch Design Week. 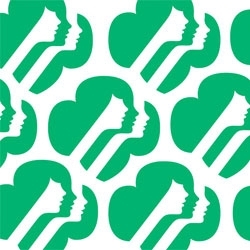 Jump associates reflect on what designing the new Girl Scouts Innovation Badges can teach us about raising leaders. 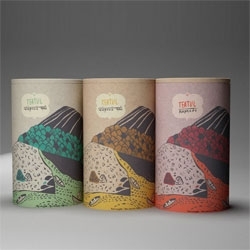 Illustrator Khadia's packaging for the three types of Teatul teas. 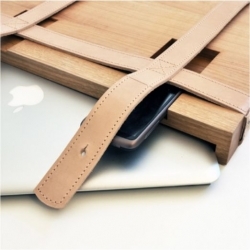 These straps are melted in form with intensive heat. 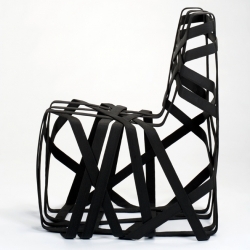 This allows the swiss designer Markus Bangerter to create such light but very powerful structures like in this gorgeous chair. 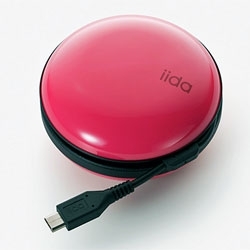 The Jupitris phone charger by Jin Kuramoto for Iida.